Be part of our league. Calling all crews across the country. 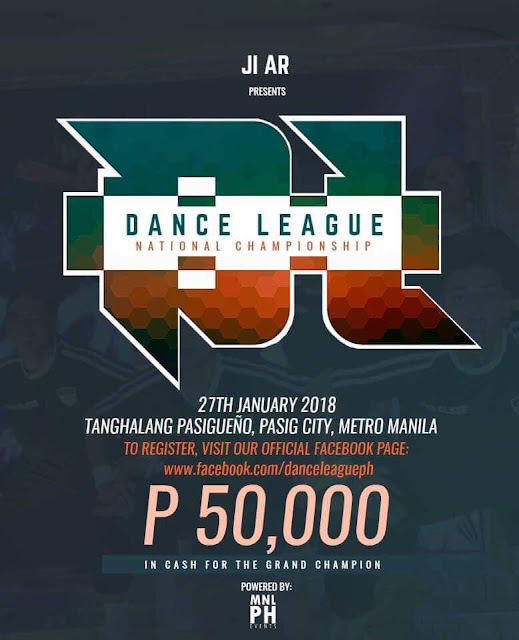 Win P50,000 in cash for the Grand Champion. 2. Pay the corresponding registration fee on given deadlines. 3. Wait for the confirmation message as an Official Competing Crew. This event is brought to you by JIAR PRODUCTIONS powered by MNLPH Events. For more info, kindly call Mr. Francis John Fajardo at 0906-4878807 or email us at danceleague@gmail.com.